Leesburg VA – The Leesburg Dryer Vent Cleaning Wizard compares the clothes dryer to a young child, warning residents to never leave it unattended. 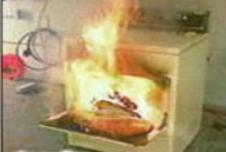 A dryer fire can start quickly and spread rapidly, leading to total destruction within minutes. Never go to sleep or leave the house while the dryer is operating. Doug and Janice Bittner, owners of Dryer Vent Wizard work to teach consumers how easy it is to eliminate this hazard while improving dryer performance. With all the media attention focused on preventing dryer fires, the Wizard is surprised and concerned about the number of people who neglect this important service. Failure to clean dryer vents is the number one cause of dryer fires and clothes dryers are more likely to cause a fire than any other home appliance. Education is a vital part of the Wizard’s service as they urge consumers to have their dryer vent system inspected to be sure it meets current safety standards. Vinyl or flexible foil dryer vents should be replaced with solid metal venting for safety and efficiency. The Leesburg Dryer Vent Cleaning Wizard is qualified to install new dryer vent systems in homes and business. Dryer Vent Wizard will perform a complete inspection of the dryer vent system, including airflow analysis. The Wizard finds a problem with 9 out of 10 dryer vent systems inspected, including total length, number of bends, slope direction, material used and more. The dryer vent service technician will make the necessary corrections to ensure maximum safety and efficiency. 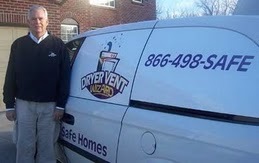 Dryer Vent Wizard is the most qualified dryer vent service provider with 60 independently owned franchises in the US. 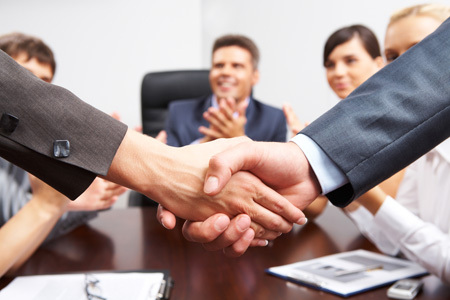 Doug and Janice Bittner serve Northern Virginia, Leesburg, Alexandria, Fairfax and surrounding areas. 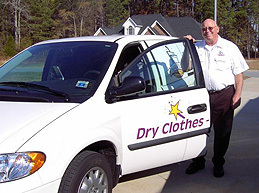 Visit http://www.NorthernVirginia.DryerVentCleaningNow.com to learn more.